leather skinned familiar of the wind. I'd be wind-scooped and wind scoured. and why that house is empty and broken. a free fall, where not to put my hand. protect a cat. How to live in so much space. How to call this home. 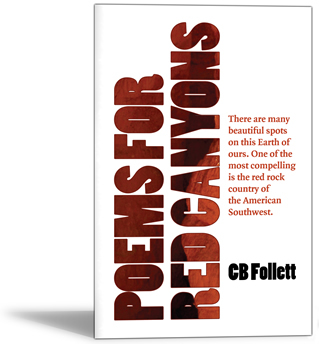 Poem by CB Follett from "Poems for Red Canyon."